There will be a huge Irish welcome waiting for Scottish rider Stuart Easton when practice begins at the Vauxhall International North West 200 on May 14. Just two years after suffering serious injuries in a practice crash at Portstewart the Hawick rider will return to race on the North coast circuit for the Northern Ireland based Mar-Train Yamaha squad. ‘I had a second place at the North West in 2010, the year before the crash, so there’s still a box to be ticked here and so I am coming back to try to do it.’ Stuart smiled as he visited the circuit on Tuesday. His return to the North West start line signals the end of a remarkable recovery from the injuries he suffered in the 2011 accident for the dimunitive Hawick rider. 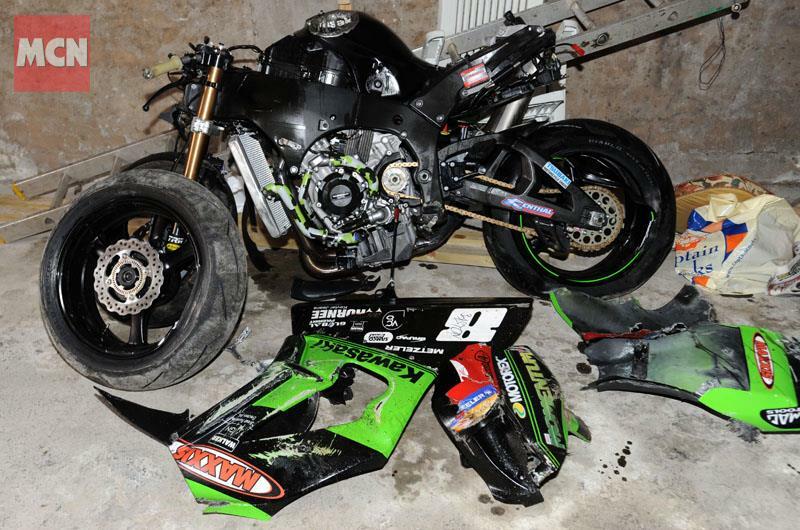 He was slipstreaming his MSS Colchester Kawasaki team-mate Gary Mason out of Mill Road roundabout when an electrical fault caused Mason’s bike to cut out. Stuart couldn’t avoid running into the back of the slowing machine and he was fired down the road at over 140mph. Medics were on the scene within seconds and Stuart was rushed to the Royal Victoria Hospital in Belfast with a ruptured bowel and severe internal bleeding. 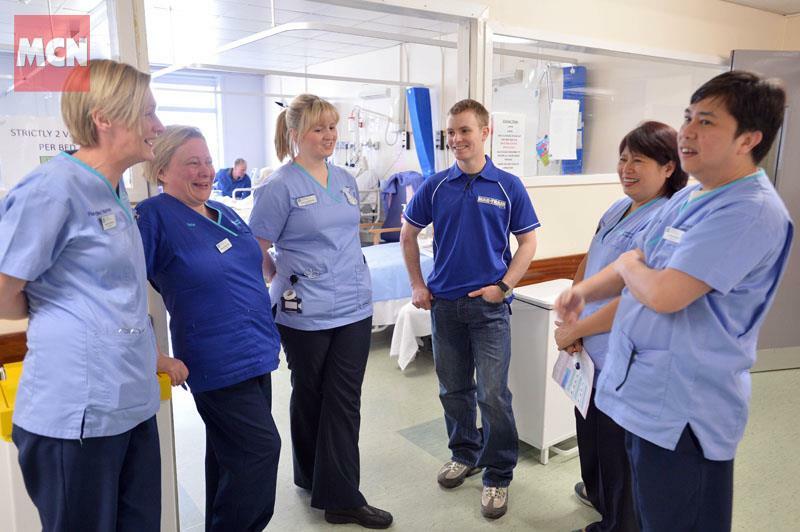 Stuart visited the doctors and nurses of Ward 5E at the Royal during his trip to Northern Ireland on Tuesday and he paid tribute to the medical staff who helped get him back on the road to recovery. Stuart spent 3 months in hospital, first in the Royal and then in Edinburgh and in total he was out of action for ten months. Although he has now made a complete recovery, having come back to race in the British Superbike championship in 2012, he still faces the mental challenge of returning to the North West course. The former British Supersport champion says that his main focus will be on the 600cc races. He will be racing an almost identical R6 Yamaha to the one raced to runner-up spot in last season’s British Supersport championship by Jack Kennedy. The Mar-Train team are also building a R1 Yamaha to full Superbike spec for the man who finished in third spot in the 2009 BSB championship.